With long-awaited improvements to Bradford Place bus station imminent, now seems a good time to look back at the most important and prominent feature of that place, and in my view the most handsome building in Walsall town centre – the old Science & Art Institute. 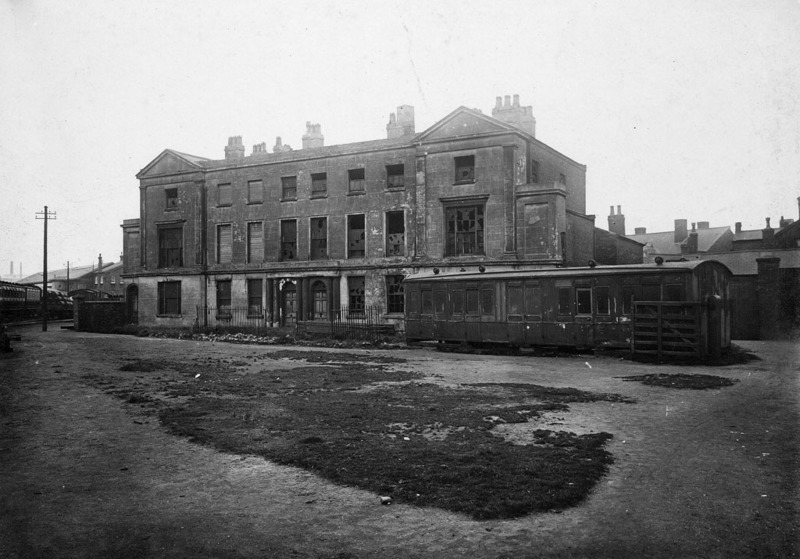 In January 1887, the year of Queen Victoria’s Golden Jubilee, William Kirkpatrick, Mayor of Walsall, issued to his fellow citizens an appeal asking them to emulate the good example of the Prince of Wales – who was then suggesting the erection of a grand central Institute building in London to be called the Imperial Institute – by erecting in Walsall a building suitable for housing the Science and Art teaching of the schools then in existence, which were being carried on under difficult conditions at the Station Chambers, Station Street. Lord Bradford had already given a valuable central site off Bradford Street, subsequently renamed Bradford Place, and the result of the Mayor’s appeal and enthusiastic efforts was the erection of one of the finest buildings in the town, as Walsall’s memorial of the Victorian Jubilee. The story of the Institute is one of long and gradual growth, eventually becoming the centre of technical and adult education in the town. 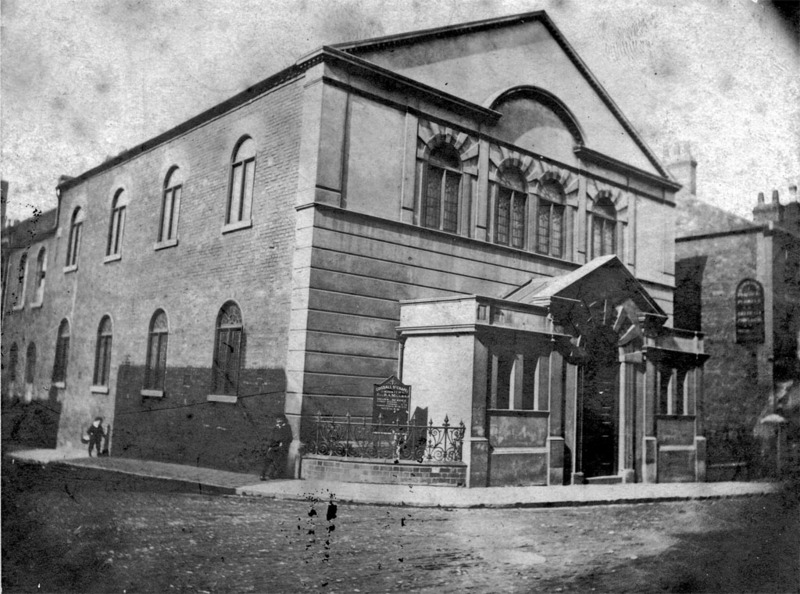 The first local move towards teaching popular and elementary art was made around 1861, in a Night Class for the teaching of drawing at the schoolroom of Goodall Street Baptist Chapel, encouraged by Rev. Alfred Adolphus Cole. The teachers gave their services free of charge, and the pupils paid a penny per night, which was expended in supplies. About 1869, a Government School of Art was established in Bridgeman Place with Mr. W. H. Duignan being chairman, Mr. W. H. Robinson honorary secretary, and Mr. Mulligan accredited master. Around the same time, Government Science Classes began in the Wesleyan School Rooms, Ablewell Street, Mr. Cox being chairman, and Mr. Brocksop hon. secretary. On 1 October 1872, a meeting was held at the Station Chambers to unite the Art Classes and Science Classes, forming the Walsall Science & Art Institute, with Sir Charles Forster, M.P., as president, Rev. Alfred Adolphus Cole chairman, Mr. Brocksop hon. secretary, and Dr. Maclachlan treasurer. It commenced without funds, a source of many difficulties in years to come. 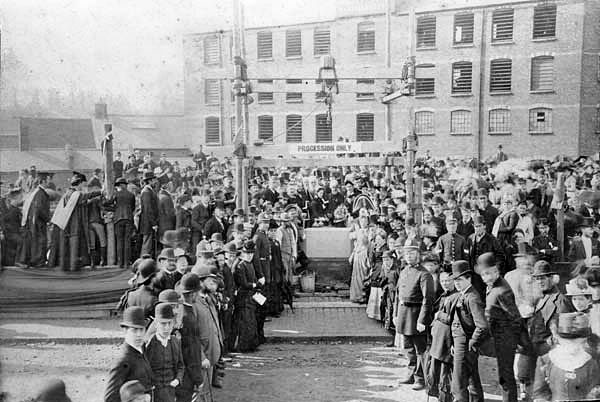 The foundation stone was laid on 20 June 1887 (Jubilee Day), by the Mayor (Mr. W. Kirkpatrick), as the first Chairman of the Building Committee; the opening ceremony was performed on 24 September 1888, by Sir Charles Forster, Bart., M.P., assisted by Alderman E.T. Holden, J.P., as succeeding Chairman of the Committee. The Institute building in Bradford Place was then thought to be a somewhat plain but imposing design, the front and sides being faced with the best patent red bricks, the window dressings, arches, gable copings, ornamental panels, finials, etc, being of best light buff terracotta. The architects, whose designs were selected in competition, were Messrs. Dunn and Hipkins, of Birmingham. The total cost, inclusive of furnishings and fittings, was about £6,000. 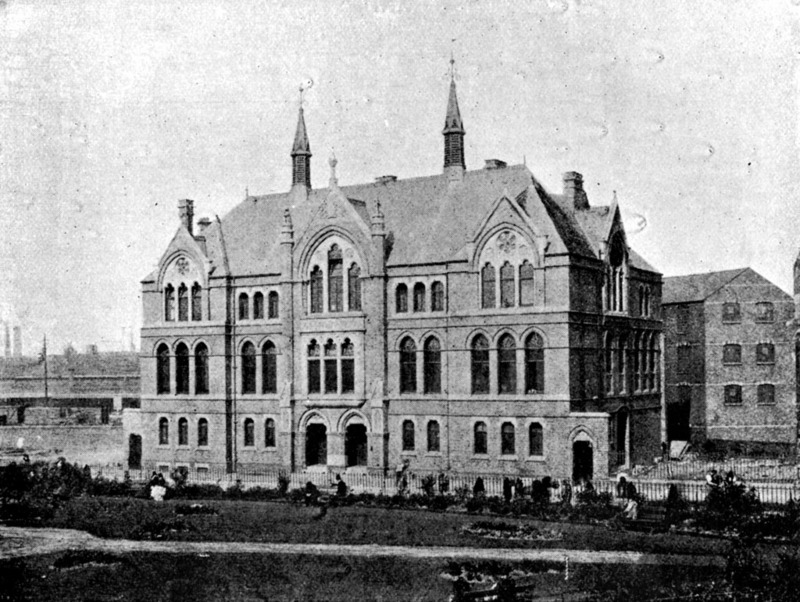 The maintenance of the Institute, with its numerous staff of qualified professors and competent teachers, was supported by Government grants, and supplemented by annual subscriptions of the citizens of Walsall. Over the years, it expanded, incorporating a Technical Day School under Mr. W.F. Blay as Headmaster. 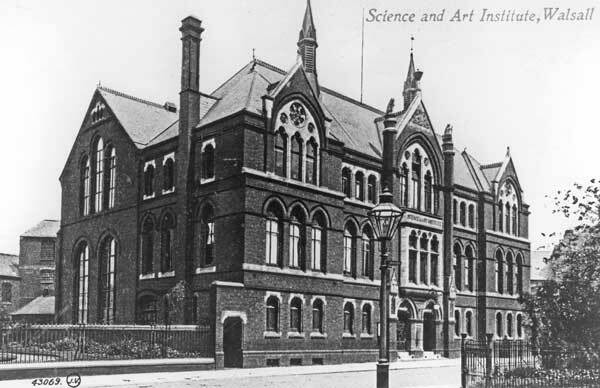 In 1897, it was transferred to the Town Council and renamed ‘Walsall Municipal Science & Art Institute’, and c.1908 the School of Art moved to Goodall Street, to the former Free Library building. By 1914, huge demand for courses caused an overflow into other buildings. In 1915 the need was expressed for a new Technical College on a site with potential for future expansion, but it was to be a long time before new premises were built. 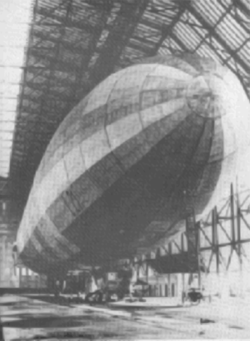 Zeppelin L21 (LZ61) in Germany. The Great War of 1914-18 came, and the town suffered from the depreations of the Kaiser’s airmen in the great Zeppelin Raid of 31 January, 1916. After leaving Wednesbury that evening, flying the L21, its commander Kapitänleutnant Max Dietrich headed North for Walsall. The first bomb there landed on a Congregational church. A preparation class of children from a local primary school was meeting in the church but no-one was injured, although a man walking by outside died instantly, the top of his head having been removed by debris or blast. Dietrich flew over the centre of Walsall and his last bomb fatally wounded Julia Slater, the town’s mayoress, as she rode on a tram in Bradford Place. Windows were also blown out of the Institute nearby. Walsall Cenotaph now stands on the spot where this, Dietrich’s final bomb, fell. 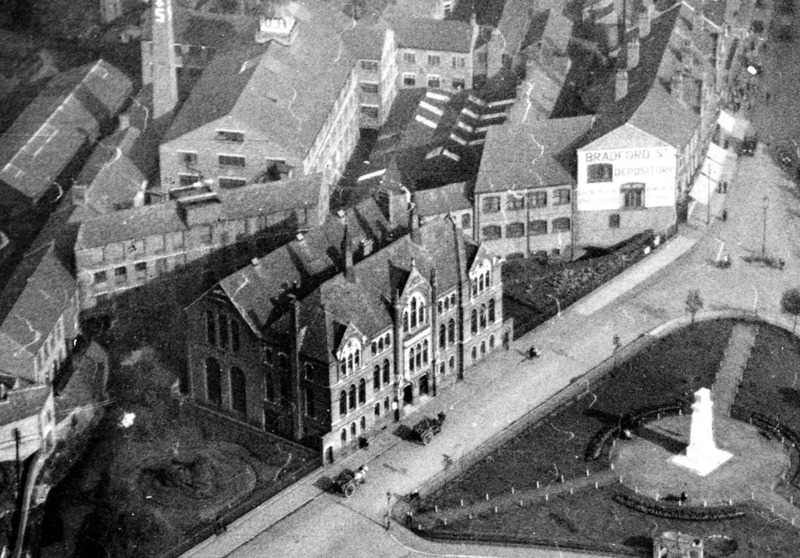 In 1926 the old Municipal Institute was renamed Walsall Technical College. In 1935, the Wisemore slum clearances began, eventually creating a suitable area for a new college. Building was due to start in 1939, but was interrupted by World War 2, and at this time the premises in Bradford Place were given over to training women to work with industrial machinery to enable them to become factory hands. 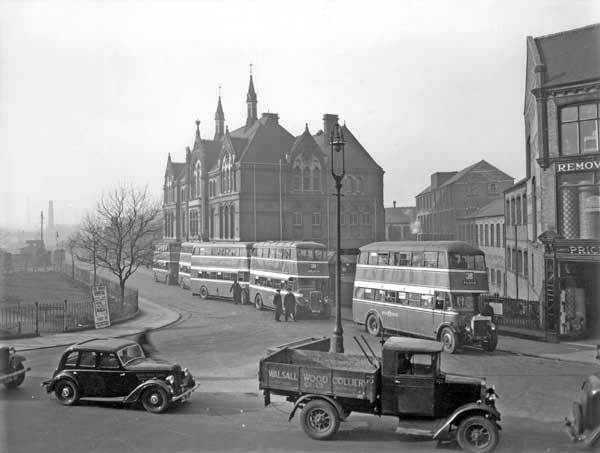 It was not until after the war that work continued on the new college, and in 1952 the main college became based at Wisemore, now St. Paul’s Street, as the Walsall and Staffordshire Technical College. The old Institute became the college Annexe, and so it remained, eventually serving as part of the renamed Walsall College of Arts & Technology, housing the painting and decorating department. In 2001 that work moved to new premises in Green Lane, and the original building’s future became uncertain. A few years later, it was purchased from Walsall College by Globe Property Ltd, who currently use it as office accommodation. Recently, its successor as Walsall College was demolished, and in the past year has been replaced by a new Walsall College complex, off Littleton Street West. The grand old memorial to Queen Victoria was still at the heart of the town in the Golden Jubilee year of a second Queen, Her Majesty Queen Elizabeth II, in 2002. Today, Walsall’s wonderful Science & Art Institute, a striking reminder of the great days of the town and the borough, can surely feel proud to have served so well for more than a century. Hopefully it will have an equally important use in the future. Next time you get a bus in Bradford Place, stop by and read that foundation stone, put in place by the great and good of Walsall for the service of its people, so long ago.